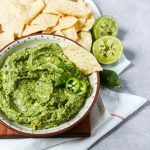 This amazing guacamole recipe is deliciously savory and more flavorful than most thanks to a secret ingredient! What is the secret ingredient? Well, you’ll have to read on. 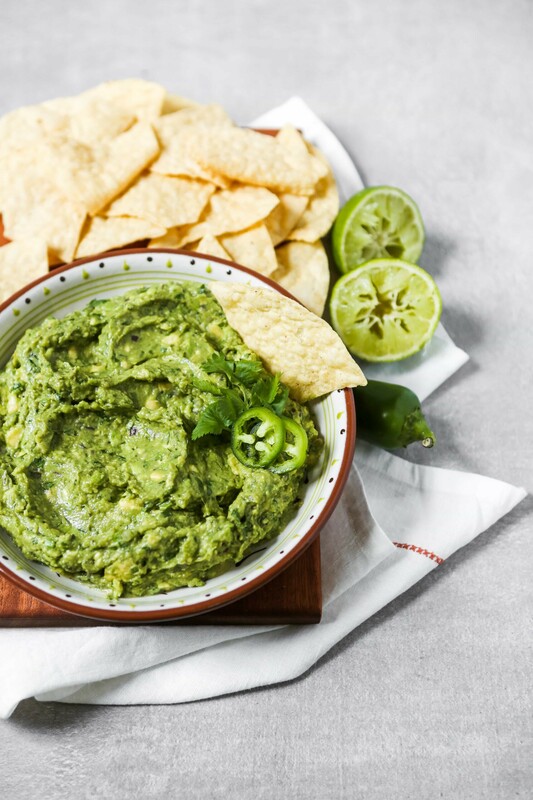 But I promise, one dip into this flavorful guacamole and it will become your new go-to guac recipe. 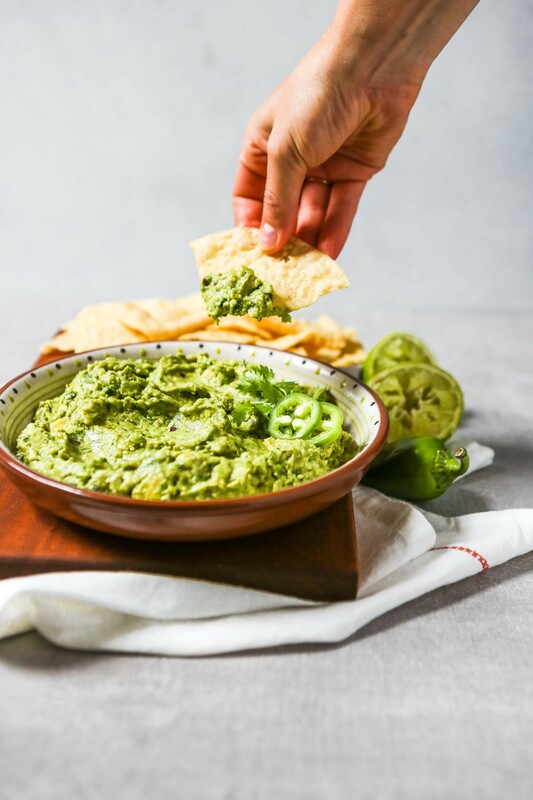 Yes—just a splash of Worcestershire adds a incredible savory element without screaming “Worcestershire!” This pantry staple is a simple and easy way to up your guac game. I highly recommend giving it a try. A note on Worcestershire: if you are vegan or eat gluten-free, Worcestershire does contain anchovies (making it non-vegan) and gluten. Simply swap out the Worcestershire for liquid aminos of you need to avoid gluten or stick to a vegan/vegetarian diet. How to serve / use guacamole. Oh my gosh—the options are endless! Where do I begin? First off, it’s very classic to serve guacamole with corn tortillas chips but that’s just the beginning. 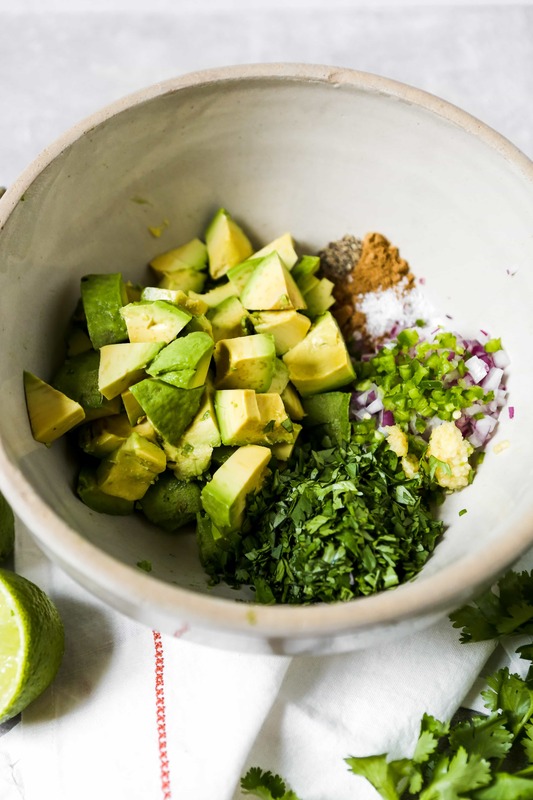 Here’s a list of ways to serve/eat this amazing guacamole. 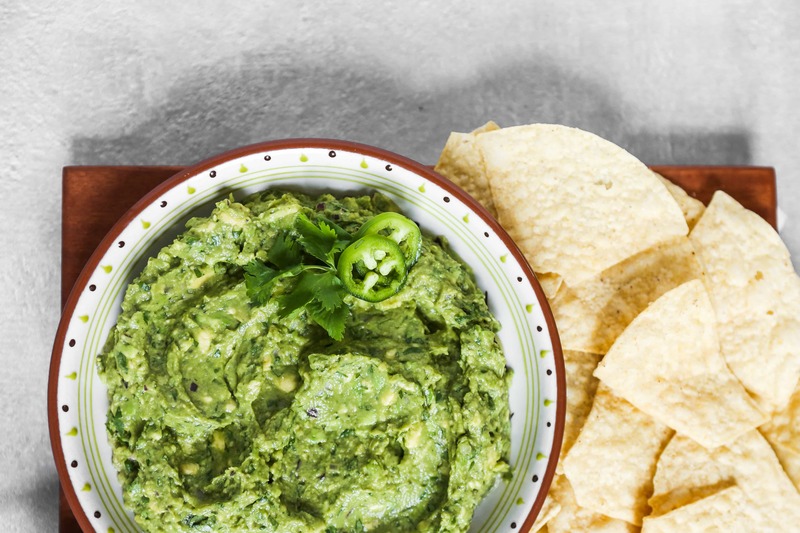 How to store guacamole and keep it green. 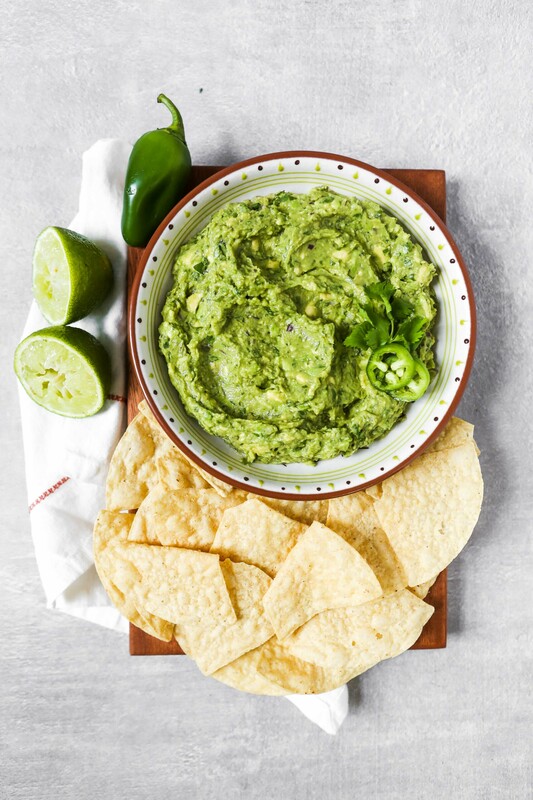 To store prepared guacamole, transfer it to a glass container and pack down to release any air bubbles. Slowly pour water over top of guacamole to cover, then secure lid and refrigerate. When ready to eat, pour water out of container, stir guacamole and serve. Alternatively, instead of covering with water, you can press a piece of plastic wrap over surface of guacamole before securing lid. This isn’t as foolproof as the water method, but still works well! 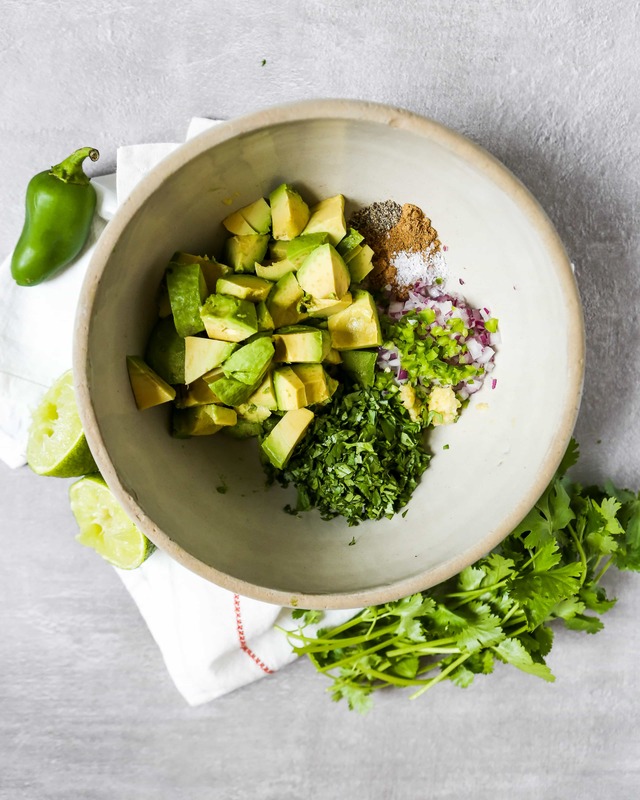 Combine avocados, lime juice, Worcestershire, coriander, cumin, and garlic in a bowl; lightly mash to desired consistency. Fold in onion, cilantro, and jalapeño; season with salt, pepper, and additional Worcestershire to taste. Serve guacamole with sliced veggies and/or tortilla chips. I’m so excited about this idea!!! !